Whoops! You've already paw-chased this bear. Whoops! You've already paw-chased this membership. Charlie and Will have been taking another trip down memory lane with our second volume of our brand new book, There's Always Room for One More Bear! 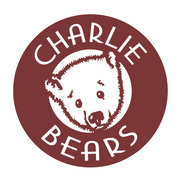 Our latest book will covers years 2010 ~ 2015, where our last book left off, and we will fill you in on all of the bear cubs and also what Charlie, Will and their team have been through along the way. Please bear in mind that our book will be covering only our Charlie Bears and so will not include our Isabelle Lee collection. With over 300 more bears than our last book, our latest release is sure to keep you occupied for quite some time and let you take a peak into Charlie and Will's magical world.